California's deadly wildfires have claimed the home of 'Peanuts' creator Charles Schulz, but his widow has escaped the flames. Schulz's son, Monte Schulz, says a fire on Monday torched the Santa Rosa homes of his stepmother, 78-year-old Jean Schulz, and his brother, Craig Schulz. Jean Schulz is now staying with other relatives. Monte Schulz says he's been told the home where his famous cartoonist father died — and all the memorabilia inside it — are gone. However, most of his father's original artwork is in the Charles M. Schulz Museum in Santa Rosa, and so far that's escaped the flames. Schulz has long ties to Santa Rosa and Sonoma County: He and his first wife built a home in Sebastopol in 1958. The airport in Santa Rosa even bears his name — the Charles M. Schulz-Sonoma County Airport — and features bronze sculptures of iconic "Peanuts" characters. 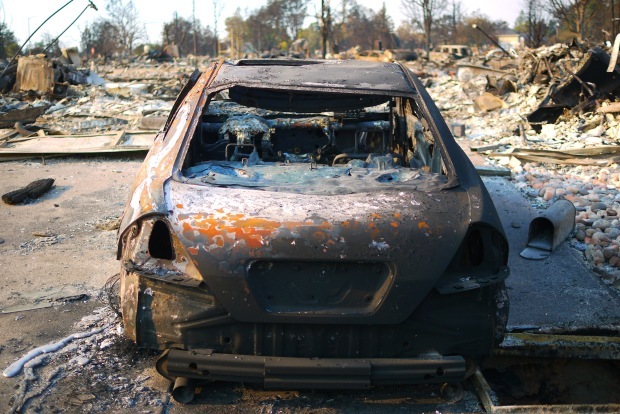 Thirty-one people are confirmed dead while hundreds more are still listed as missing four days after wildfires ignited and zipped through California wine country. Officials on Thursday said this has been the deadliest week of wildfires in the state's history.